From Portsmouth, NH to all of our friends, best wishes for a Happy Easter. Every rabbit needs a home. 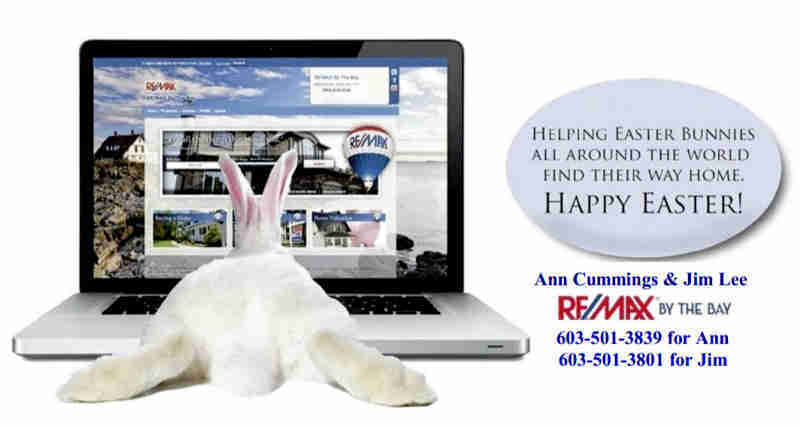 If you’re hopping down the bunny trail to home ownership Ann Cummings and Jim Lee would love to guide you along the way. We’re helped lots of people just like yourself find that ‘just right’ home to move into and enjoy life. Give us a call or email today with any questions or to get started on your new Portsmouth NH home search adventure.